Hexacelsian: Mineral information, data and localities. The name given to the mineral matches the historical name used for the synthetic material. It is the hexagonal polymnorph of celsian. 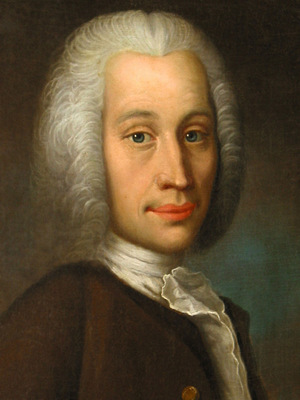 The root name honors Anders Celsius (27 November 1701 Uppsala, Sweden - 25 April 1744 Uppsala, Sweden], astronomer, physicist, and naturalist. He had the Astronomical Observatory built and he experimented with standardizing temperature measurements. The Celsius temperature scale is also named in his honor. Known as a synthetic compound (disordered β-BaAl2Si2O8). In veins of paralava cutting gehlenite-flamite hornfels located in the Gurim Anticline in the Negev Desert, Israel. Galuskina, I.O., Galuskin, E.V., Vapnik, Y., Prusik, K., Stasiak, M., Dzierżanowski, P., Murashko, M. (2017) Gurimite, Ba3(VO4)2, and hexacelsian, BaAl2Si2O8 – two new minerals from schorlomite-rich paralava of the Hatrurim Complex, Negev Desert, Israel. Mineralogical Magazine: 81: 1009-1019. Raman spectrum of hexacelsian is similar to the one of the synthetic disordered β-BaAl2Si2O8. Galuskina, I.O., Galuskin, E.V., Prusik, K., Vapnik, Y., Dzierżanowski, P. and Murashko, M. (2015) Hexacelsian, IMA2015-045. CNMNC Newsletter No. 27, October 2015, page 1224. Mineralogical Magazine: 79: 1229-1236. Galuskina, I.O., Galuskin, E.V., Prusik, K., Vapnik, Y., Dzierżanowski, P. and Murashko, M. (2017) Gurimite, Ba3(VO4)2 and hexacelsian, BaAl2Si2O8 – two new minerals from schorlomite-rich paralava of the Hatrurim Complex, Negev Desert, Israel. Mineralogical Magazine: 81: 1009-1019.